Come along to the launch of the The Albert on Thursday 31st January from 12pm to 12am and explore the free programme of sports, art, live performances, food growing, cooking, music and more. 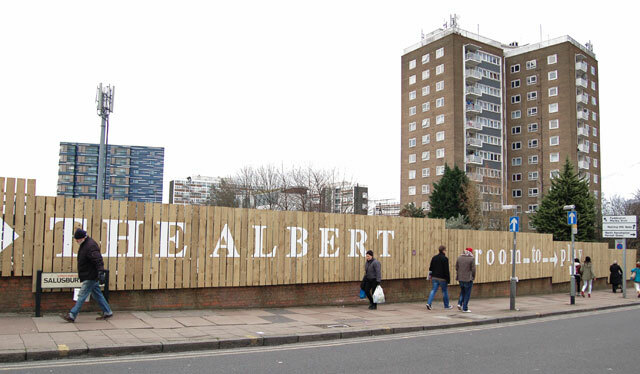 The Albert is a new pop-up venue for arts, experimentation and community well being in South Kilburn hosting a diverse and exciting programme of free activities and events. 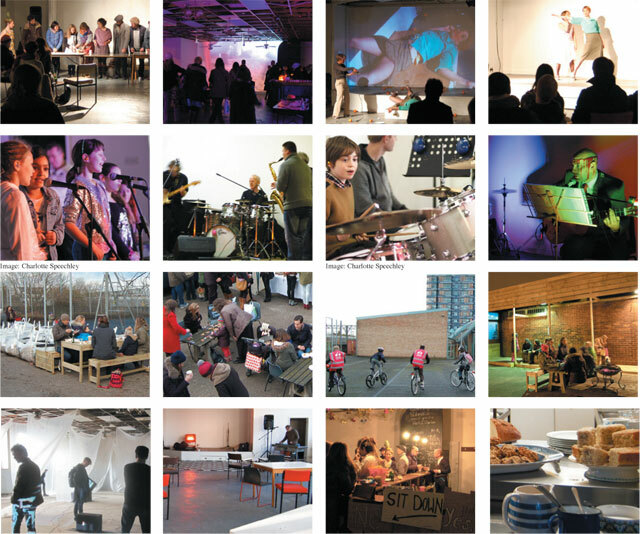 A team of more than 100 artists, cooks, architects, trainers, musicians, photographers, carpenters and performers now work at No 1 and 5 Albert Road and will be sharing their expertise, skills and knowledge with the local community through regular free classes, workshops and events. The programme is suitable for both young and old people. Sign-up lists will be on display at The Albert. During the launch a series of taster sessions in art, music, performance, carpentry, yoga and sports training are on offer while the Albert team of cooks will be serving a delicious menu from 12pm-6pm. The “plot to plate” food growing project will start with the allocation of plots and local residents are invited to join. The outside space with a ballcourt will also be opened for play. From 6pm the free evening programme will commence with film projections followed by live bands and performances from 7pm. A small street food market will provide tasty dishes form 5-10pm while the licensed bar will be open from 6pm until 12am. At 7pm The Albert will be officially opened by local councillors with a free drink for all guests. We hope to meet you on Thursday 31st January either during the day or in the evening. For more information about the project refer to www.thealbert.org.uk. Please contact Ulrike@what-if.info if you would like to book a place for the workshops or the sports sessions. Official launch with local councillors and a free drink for all guests at 7pm. Come along and enjoy! Free portraits sessions: get your picture taken by photographers Eilleen Perrier, Maya Glaser and Monica Takvan. Lunch including caribbean and vegetarian dishes as well as cakes will be prepared by the Albert team of cooks. Sonia Robinson , Lara Farah and cooking duo Norman Loves Soup.